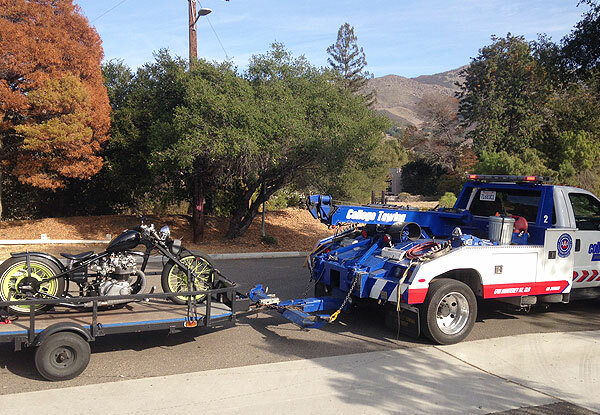 College Towing South is dedicated to providing exceptional towing services to Grover Beach and San Luis Obispo County. Over the nearly 40 years we have been in business, we have served thousands of motorists, private businesses, city agencies, and local police departments, who trust us because we consistently deliver fast, responsive towing services at reasonable prices. Our team of professional, courteous tow truck drivers are all certified by the California Tow Truck Association (CTTA) and the Automobile Club of Southern California (AAA). They continuously attend industry training to stay current with the industry’s latest technology and best practices, and are fully qualified to perform a wide range of towing services. This can include everything from jump starting a car stranded on Highway 166, towing a classic car from Arroyo Grande to Grover Beach, or impounding an illegally parked vehicle in Oceano. College Towing specializes in providing hassle-free, cost-effective private party impounds and parking enforcement for businesses, apartment complexes, restaurants, and student housing complexes throughout San Luis Obispo County. When you call on College Towing, one of our professional, licensed tow truck drivers will arrive promptly at your location, meet your designated representative, and skillfully tow the illegally parked car or truck to our impound yard. We will handle all necessary paperwork and submit any required legal documentation. Our knowledgeable staff members can also assist you in choosing the correct parking signage to help you comply with California code requirements for the removal of parked and abandoned vehicles. 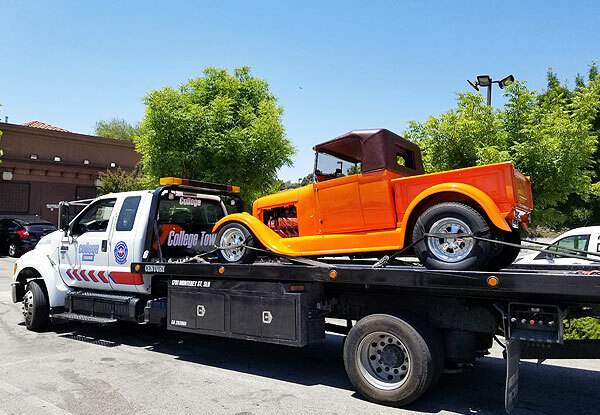 With one of the largest fleets of tow trucks in Grover Beach and the surrounding area, we are well-equipped to provide a full range of commercial and residential towing and recovery services in south San Luis Obispo County. All of our tow trucks, flatbed tow trucks, and motorcycle transports receive frequent maintenance and inspection to ensure they are in optimal condition to deliver you and your vehicle to your intended destination. We are also constantly updating our fleet with the latest advances in technology and equipment. To this end, we have outfitted our tow trucks and trailers with GPS-enabled terminals in order to provide faster, more responsive service for our customers. Give us a call today to speak to a member of our experienced staff. We are standing by to assist you 24 hours a day, 7 days a week. You can also contact us to inquire about our comprehensive fleet vehicle towing services, parking enforcement/private party impounds, and accident recovery services. Great to work with! John came and tried everything he could think of to get our car running..unfortunately he wasn't able to and had to tow it but he was very friendly and turned a frustrating event into a pleasant experience. He even called us back to let us know our car had been dropped off and keys in the service drop box of the dealership. Honestly, hoping I won't ever need two service again but if I do, I will definitely call them! Extremely fast and painless (the driver beat me to where I left my truck). Driver worked around my forgetting the keys and even braved the vintage '79 three-speed transmission to pull my truck into my carport once we made it home.